Revel Jazzmaster pickups are made to vintage specs. Re-issue and recreation Jazzmaster pickups often have a much taller coil than vintage Jazzmaster pickups. Or the magnets are too long or too strong. Or both and they’re wound on a machine. You can easily hear the difference. The re-issues and the poorer recreations sound like a Strat pickup or like something, well, bad. But they don’t sound like a JM pickup. My pickups use the correct, 1/8″ tall, coil dimension. They’re a little tough to assemble, plainly tricky to wind, but all the effort pays off in vintage Jazzmaster tone. My Jazzmaster pickups are made to vintage specs. I ordered a Revel Vintage Jazzmaster bridge pickup to replace the stock pickup in my J Mascis Jazzmaster. The pickup was exactly what I needed. It definitely has the tonal qualities of a vintage Jazzmaster pickup and blends well with the stock neck pickup when in the middle position. I’d also like to add that I received great customer service from the Revel crew as well. I used these in my MIJ JM to replace the awful stock pickups that came with it. After some underwhelming results with some Fender replacements purchased on Reverb and horrible service from SD, I gave a local builder a try on the advice of a local shop-owner. I couldn’t be happier with the sound of the pickups! Jesse was great to work with, called and consulted about what exactly I was hoping to get out of the pickups, and delivered exactly what was promised! He maintained good communication, and got the pickups done very quickly, especially considering everything is hand-built to-order! 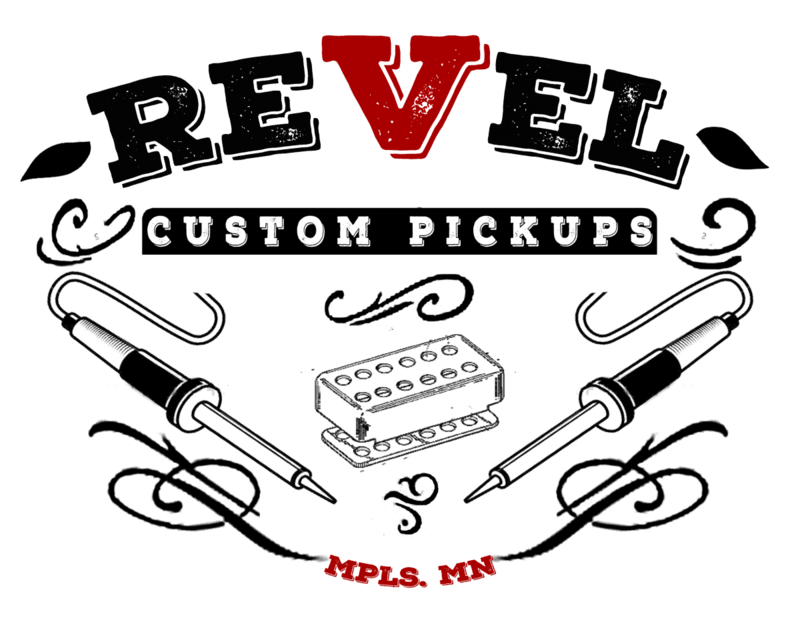 I recommend Revel to anyone who will listen, especially for Jazzmaster pickups! Jesse custom built a pair of pickups for my 1998 CIJ Jazzmaster, which has notoriously awful stock pickups. Jesse’s replacements took my guitar’s tone from “meh” to “magnificent.” Thanks to his pickups, that Jazzmaster has been my preferred guitar for recording and playing live ever since. In addition to making high quality products, Jesse is great to work with. He’s very professional, responsive, and accommodating. Highly recommended. Jesse recently made me a pair of ’63 style Jazzmaster pickups for a parts build. 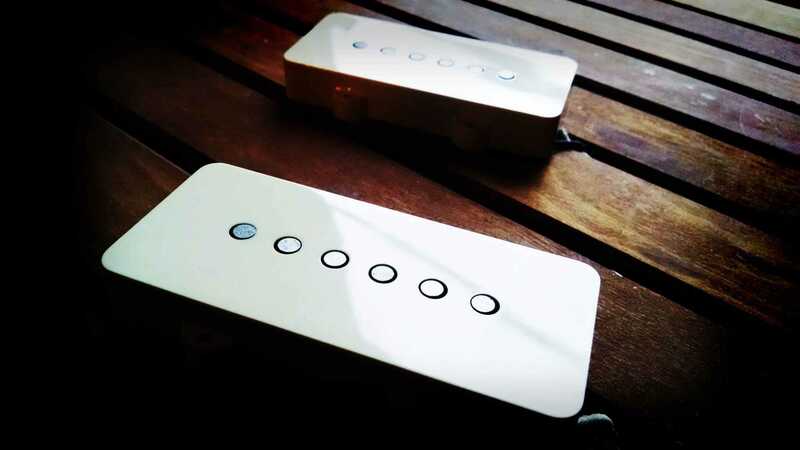 The construction is top notch, and the pickups offer a full and clear tone with the detail that I love in JM pickups. Very excited to try more Revel pickups in the future. I needed new pickups for a custom JM I had built and, on a recommendation from a friend, I took a shot and tried your pickups. Wow! I don’t know what you do or how you do it but the pickups sound incredible. In 30 years of playing I have tried every pickup under the sun, from cheap to way not cheap, and these are in the top 3 I have ever played.